The Zambia Revenue (ZRA) has started the process of comprehensively auditing mining companies in all applicable tax types. Last year, the amnesty on interest and penalties was announced to allow tax payers to clean up their tax accounts. 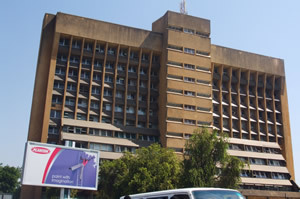 Those with issues were expected to engage ZRA and have a waiver on interest and penalties. A post amnesty review shows that only small and medium companies stepped forward and the Authority raised about 4.4 billion kwacha from the programme. Unfortunately, most large companies did not participate despite numerous reminders and extensions. We would like to assure the public that the amnesty programme was not a joke and our promise to deal with non-compliance is real. In line with this objective, the 2018 theme for ZRA is “Rewarding compliant tax payers and punishing non-compliant tax payers to the maximum”. The Authority has therefore started detailed audits on all mining companies for compliance in all applicable tax types in order to ensure all taxes due are collected. The planned audits will cover the statutory period of 6 years to start with. However, if the findings will review a pattern of consistent, systematic, premeditated cheating (tax evasion), we shall criminalise the act and cover longer periods to achieve the intended objective. For this reason we are announcing the preliminary assessment of K 76.5 billion (USD 7.7 billion) issued to a prominent mining company for misclassifying consumables and spare parts at importation for the last five years. The said items were declared as mining machinery (which attract customs duty at zero percent) when in fact not. The applicable duty rate for the items ranges from 15 to 25 percent. The Authority is currently ascertaining the involvement of the clearing agent, who, if found to have been actively involved, will face appropriate sanctions that may include complete revocation of the trading licence. We have since notified both the mining and the clearing agent of this unacceptable act of cheating. We are taking this case very seriously and we shall pursue all available options to the Authority to recover all taxes on behalf of the Zambian people. We also wish to announce that starting 26th March 2018, our investigation teams and auditors will commence the audit of all mining firms in Zambia. We are, therefore, appealing to all other companies and players in the Mining Sector that may have been involved in illicit tax activities to make self-disclosure before we discover them. This will help them minimise their exposure to penalties and interests. To those that are evading tax or contemplating doing dubious activities, our warning to them is to stop immediately and start complying. The Authority will definitely catch up with them and take all measures to collect taxes, penalties and interest due.